As a senior studying accounting and international business at Northwest Missouri State University, this summer was devoted to gaining experience in my field prior to my graduation. This experience came in the form of a logistics internship with Scarbrough International in Kansas City, Missouri. Although I had no idea what I was getting myself into, I learned a lot about international business through the internship as I learned a lot about myself as I explored a new city. From the first day I set foot in the office, I realized that a cubicle is not the place for me. Maybe I chose the wrong or maybe I haven’t learned how to “think outside the box” (pardon the pun). Although I was stuck in a small, windowless office all day, I gained a network that I wouldn’t trade for the world. The men and women with whom I worked taught me a lot through their daily actions. Although working in the customs brokerage industry can be stressful and complicated, I saw innovation daily. If a truck broke down or shipment was stuck in a port, the employees worked tirelessly to discover new ways to move freight. Though I wasn’t passionate about the work I did, I now know one more thing which I don’t want to do. And I gained friendships with people who will help me in anything I decide to pursue. Although I’m a native of Omaha, Nebraska and visited KC often, I wanted to experience the city for an entire summer. Initially, I looked on Craigslist for housing in the area, but finally settled in a former roommate’s parents’ basement. Living in Northland (as residents refer to the northern KC area) allowed me to explore the historic downtown Parkville but also gave me easy access to downtown KC. Because I began training for the KC Marathon this summer, I spent a lot of time running around English Landing and the Nature Sanctuary in Parkville. Following my runs, I would often stop for a cup of hometown roasted coffee at the Parkville Coffeehouse. Provided with excellent service and a wonderful environment, the Coffeehouse became one of my favorites during my stay. Most weekends and some evenings, I drove twenty-five minutes to the Midtown area to visit friends who lived downtown. Here, many of my favorite memories were made with both new and old friends. Living in the city always provided something to do (especially in the summer). First Fridays, sand volleyball, concerts, and farmer’s markets were among some of my favorite things. 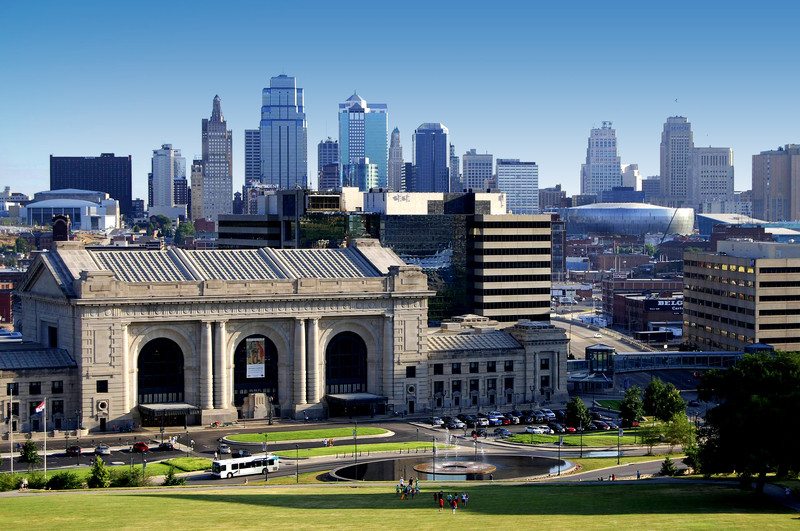 KC is a vibrant city many people might not expect from the Midwest. With images of corn, cattle, and cowboys branded into their brains, people from outside the region may not expect to see towering skyscrapers, hear top bands, taste delicious BBQ (the pride of KC), and smell the fragrances of an open market. But this city has that and so much more to offer the traveler or student just passing through. To experience both the Midwest disposition and the fast-pace of a big city, everyone should have the opportunity to live the KC Dream!